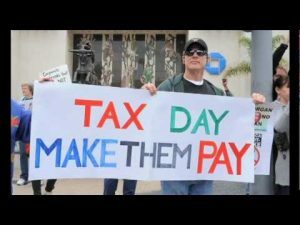 Here in California and across the country we are dealing with record high unemployment rates, home foreclosures and gas prices while large corporations make record profits and pay nothing in taxes. 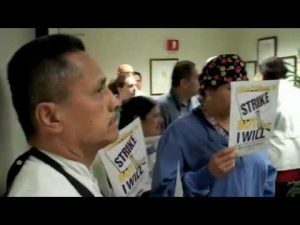 On Tuesday, Jan. 24, SEIU 721 members officially noticed Riverside County Board of Supervisors that all Riverside County SEIU 721 members will hold a one-day unfair labor practice strike next Tuesday, Jan. 31, 2012 at the County Administration Center in downtown Riverside. On November 17, we joined thousands of people from around LA in a rally for good jobs. 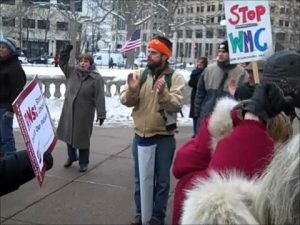 Dozens of people were arrested as they stood up for the 99%. Over a thousand SEIU 721 members and community allies marched to Bank of America in downtown LA on November 6. 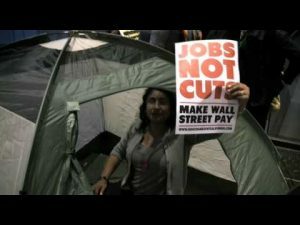 They set up tents outside the bank. Meanwhile, our “inside team” camped out in the bank lobby. Meet Franco Torres. 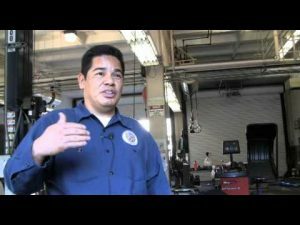 He’s a garage attendant for the LAPD’s Wilshire Division, but he’s no ordinary grease monkey. 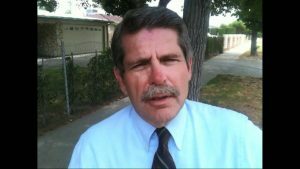 Franco works hard to make sure the LAPD’s vehicles are safe, working right and ready to protect you. 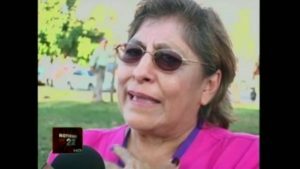 Clinica Romero in Critical Condition: On August 30, a powerful community coalition of over 200 patients, workers and health care activists joined SEIU 721 for a rally and march to save Clinica Romero. Meet Jacob Miller, an animal care technician who works at Los Angeles’ East Valley Animal Care Center. From dogs and cats to snakes and geese, every day Jacob helps provide top-notch care for both the animals and the residents of the east valley. 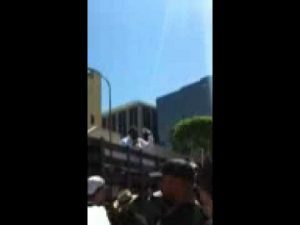 LA County Social Worker Akbar Chatman addresses a fired-up crowd at the 2011 Los Angeles May Day March. 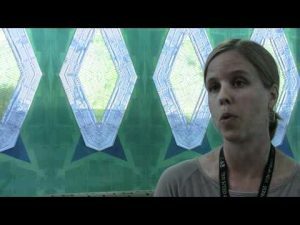 Meet Melissa McCollum, an inspiring librarian who works at the Lawndale Public Library, a branch of the LA County library system. 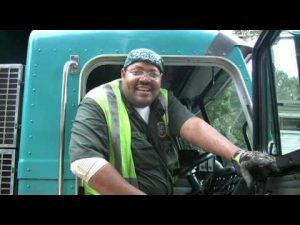 LA trash truck Operator Kenneth Fox is an inspiring man and a dedicated public employee. Every morning, you’ll find him picking up black cans, waving to kids and helping seniors. “I just enjoy it,” Kenneth says. This video will put a smile on your face. Wondering what your fellow union members have achieved over the last year? 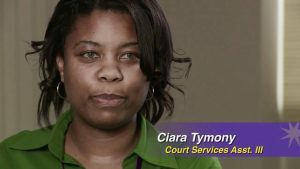 Take a look at this short video and discover what’s been going on at SEIU 721 over the past year. 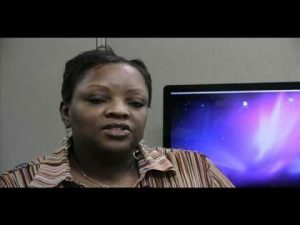 Better yet, discover what’s in store for 2011! 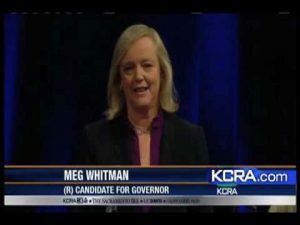 Billionaire Meg Whitman has made public services enemy #1 in her campaign for California governor. 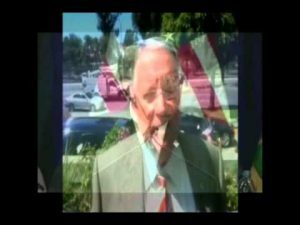 Watch video clips where she talks about cutting public services, raising the retirement age for government workers, and attacking union members — and see Attorney General Jerry Brown’s response. 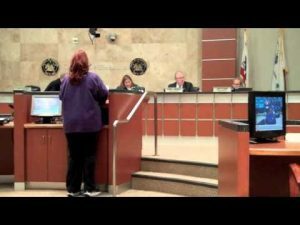 Riverside County employees talk about the reality of retiring with dignity. 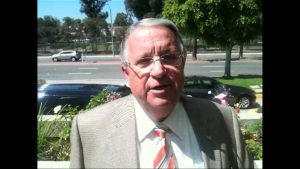 Supervisor Knabe spent the afternoon working on an emergency response referral with two children’s social workers in the Lakewood office of LA County’s Department of Children and Family Services. Hear what he had to say about the experience.